It is a fact that the Internet Marketing process offers significant opportunity for commercial real estate brokers in creating greater market coverage and building successful prospecting activity. The Internet today is something that is evolving and relatively new to some brokers and agents. It is not a static or fixed method of marketing; it is something that is changing and evolving over time. On that basis you should consider using the tools and adjust them as new concepts and opportunities arise. So let’s look at some ways you can promote yourself online. 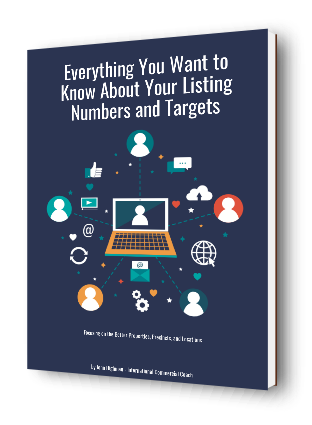 Assuming that you have plenty of exclusive listings, your name will already be on number of websites relative to quality properties and quality listings. Those website listings will give you inbound enquiries from property investors and tenants as the case may be. Given that every other broker or agent in your town or city will be doing the same thing, the only thing that can differentiate you will be the quality of properties that you list and the number that you have listed at any particular point in time. So, one of the key factors in marketing activity related to commercial real estate will always be the quality of listings that you capture on an exclusive basis. Exclusive listings give you control of the client, the property, and the enquiry. Open listings are by contrast totally uncontrolled in every respect. If you want to rise to the top of the market successfully and quickly, you should refine your prospecting and presentational activities to centre on exclusive listings. In a busy market, you can work on up to approximately 15 listings of this type. Beyond that point you will be far too busy to service the clients and properties correctly. When you win an exclusive listing, it is the start of the process where all the hard work commences. Devote total focus on packaging the listing and spreading the marketing message into the right markets. This level of focus and intensity doesn’t and shouldn’t happen with open listings. Establish a blogging platform where you can talk about the market, the property trends, the prices, and the rentals. In a brokerage that contains a number of agents, I would expect every agent to have their own personal blogging platform that links back to their listings and brokerage website. Make it easy for the search engines to see you and find you when someone wants property information for your town or city. Choose your blog domain name based on location first and your name second; that will help with search engine exposure. Write articles about the property industry in your town or city. Publish those articles to your blog and also publish them to the article submission platforms. Publish each article in only one article submission platform; don’t copy and repeat the same article in many sites as it will have a negative effect with the search engines. 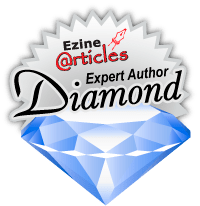 Every article every blog that you write can be linked back to your social media activities and most particularly Facebook, Twitter, and LinkedIn. Regularity is the key to success when it comes to social media profile and market relevance. Visit other industry related blogs and forums. Watch what other people are talking about when it comes to market trends and industry activity. From that process you will get some ideas that you can merge into your articles and blogs. Make it easy for people to contact you through a number of channels of communication. Remember that some of your prospects will be traditional ‘old school’ and avoid social media by choice, whilst others will be the just the opposite. Your marketing approach should cater for both.